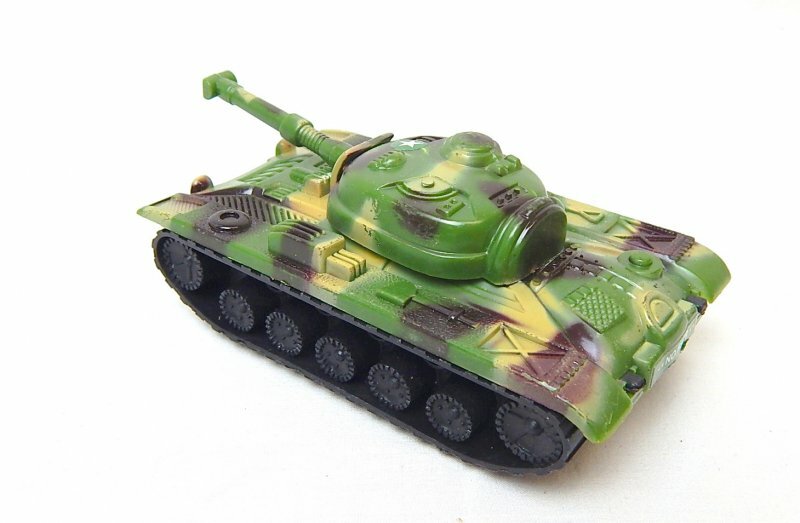 Russian Style T-54 Green Camo Plastic Tank. Approx 5" long, 2 3/4" wide, and 2" tall, partially rotating turret. 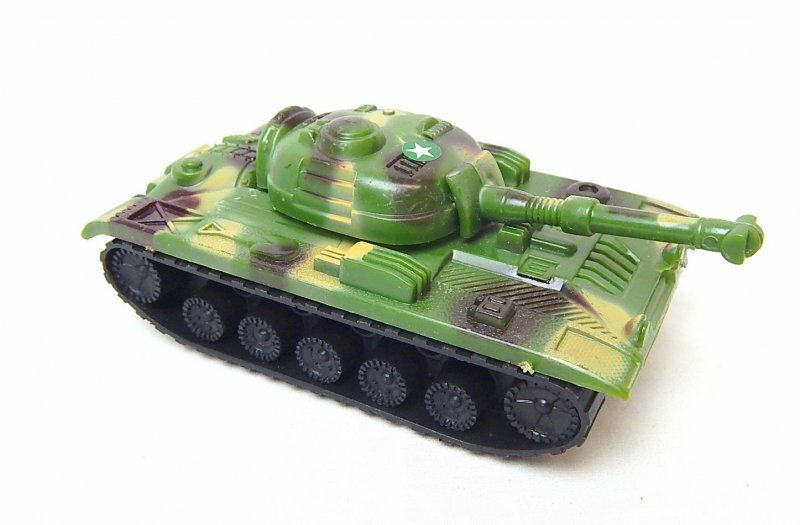 1/32 54mm soldier for scale only and not included...good basic tank for smaller size armymen!